Session Fees: $135.00/session ($150.00/couples) - feel free to ask about our sliding fee scale and the subsidized supports that are available. Kim has been providing therapeutic supports for individuals and for families since 1990. She also offers a broad range of professional development opportunities and training programs for various community groups and agencies. 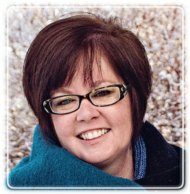 Kim is the author of the E-Resource Manual "Energizers and Icebreakers", and she is currently finishing her book "Advice From the Therapist's Chair". Kim has worked with street gangs in Toronto, aboriginal youth in isolated northern Canada, and abused youth and their families in Alberta. She specializes in work with children/youth, with couples and with individual adults, and has experiences with diverse and unique client populations. She has had the privilege of helping to initiate and develop some groundbreaking, socially enhancing programs which have become the foundation for healthy community development; she has facilitated parts of the Alberta Social Work Program; and she has provided (and continues to provide) supervision for first and second year Social Work students who are completing their Social Work Diplomas. Kim’s work with her clients not only encourages and empowers individuals to be agents of change in their own lives - but also in the world around them. Kim utilizes a strengths-based, solution focused theoretical approach to counselling. Tacit believes therapy can typically be a short term process (on average, clients tend to spend 4 to 12 weeks addressing their concerns and working on their goals). Homework is often suggested between sessions, as Tacit believes clients can also experience healthy growth and increased personal awareness between sessions. Helpful homework strategies effectively decrease the time and money expended by the client throughout the counselling process. Are Others Picking Up What You Are Putting Down? Dear Brain - I NEED Sleep! Many clients can claim part or all of their counselling fees through their Insurance or Employee Assistance Programs. Clients are responsible for the process associated with these support benefits - please inquire with your health insurance provider regarding the details of your coverage. Fees for psychological services can also be deducted on your personal Income Tax Return, under health care expenses. Tacit Knowledge offers a sliding fee schedule based on income level for clients who do not have Insurance/Employee Assistance Program coverage. Clients may also be eligible for subsidized counselling supports through the Beaumont FCSS Program (contact the FCSS Program directly to inquire about this assistance).